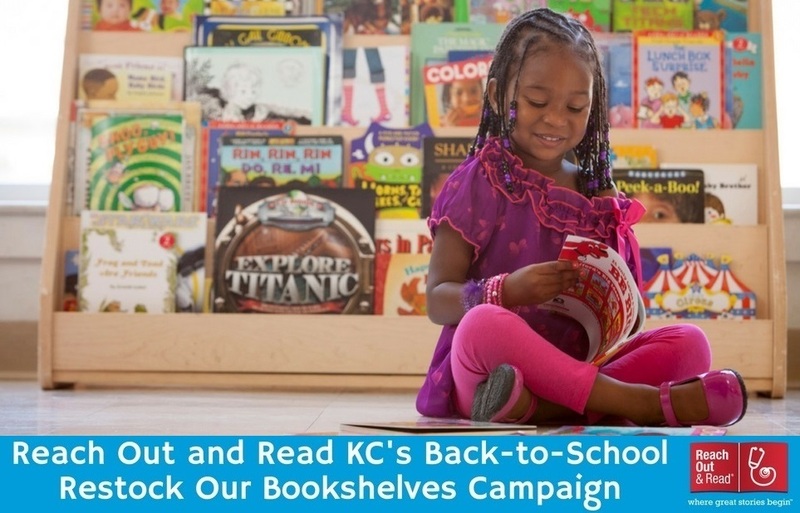 Reach Out and Read Kansas City needs your help restocking our bookshelves for the new school year. Last year, we provided books and literacy advice to children from birth to 5 years old at 77,792 well-child checkups. That’s 6,584 more checkups than the previous year! Summer is always an especially busy time in our clinics as families get ready for the coming school year. Since we are serving more children than ever, our need for books has increased and our inventory is being depleted. Help us restock our shelves so that we can continue to provide brand-new, developmentally appropriate books for the nearly 30,000 children who we serve each year. For just $10, you can provide books and literacy counseling at 2 well-child checkups. Help us reach our goal of $10,000 by September 15. That is 2,000 brand-new books and literacy counseling for children in the Kansas City area.